My brother, sister, and I are each two years apart. As a person who enjoys numbers and patterns, I always appreciated that our grade levels in school went 1, 3, 5, or 4, 6, 8, etc. I'm going to venture out and say it seems like the average baby makers try to space their kids about two years apart. It's just nice. If we were your average baby makers, and we wanted to have the normal two year gap between kids, I would need to be getting pregnant, um, now. It's not like there is anything average about our family building, but trying to have another kid at this time was a pretty hilarious thought to me. Especially when we saw our social worker, Amy, last week at the fundraiser breakfast, and she asked if we were ready "to work with her again." I'm pretty sure I laughed in her face. "No, we're not ready, yet, but thanks for asking." Is it weird that usually a husband and wife have to just talk about having another baby, but we need to visit a third party? Anyway, what makes me really happy about this whole topic is the word contentment. After wanting a baby for so badly for so long, it is absolutely refreshing to not have such a deep longing for something that seems so unattainable. 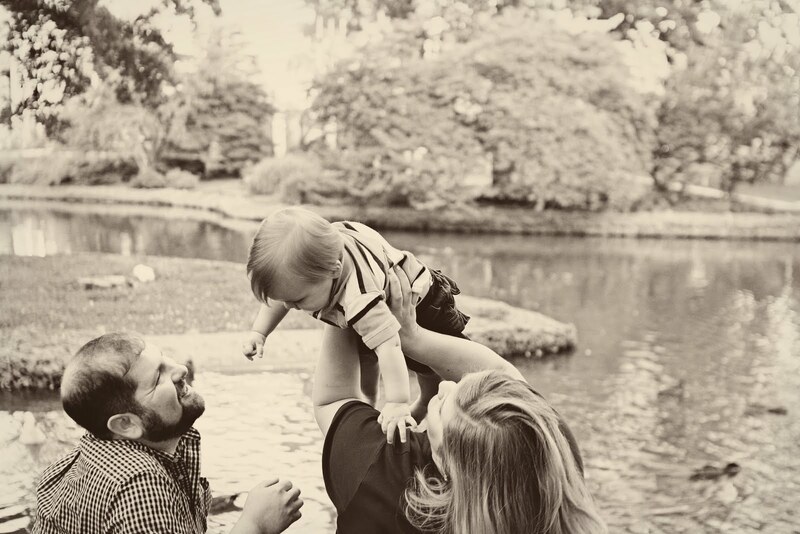 I do want more kids, eventually, but I LOVE our little family of three, and for this phase of life, it is just perfect.